Many common habits like drinking soft drinks, coffee, wine, or tea can lead to stained teeth. Smoking is another habit that turns teeth yellow or brown. Even the natural aging process or taking certain medications can dull the natural whiteness of your teeth and make them yellow. Teeth whitening is a safe and fast way to improve the way your smile looks, and to get rid of the stains accumulated on your teeth. IN-OFFICE | Our highly-trained team can help you achieve just the right shade of white that is the most flattering for your smile with our in-office dental whitening. You can have brilliant teeth in less time than ever. The process is safe and impressively effective. We can get you in and out with a dazzling smile in one visit! TAKE-HOME | We also offer professional grade take-home bleaching kits for convenient home treatment. Those who would rather whiten their teeth at home at their own pace, may prefer this option. Our take-home kits come with custom-fitted trays that will fit your teeth perfectly. If you have bought teeth whitening strips from the store and been disappointed with the results, it may be time to try professional teeth whitening. When done by a trained cosmetic dentist, teeth whitening is a safe and effective way to reverse the damage done by negative, staining influences on your teeth. 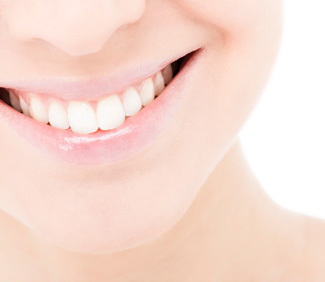 You will be amazed at the difference a sparkling white smile makes in the way you look and feel. Nothing says success and health like beautiful, white teeth. If you’re ready to enjoy the confidence that comes from a brighter and whiter smile, then try the professional teeth whitening offered at Doe Run Dental. Give us a call or just drop by and we’d be happy to answer any questions you may have about our teeth whitening treatments. We look forward to meeting you!